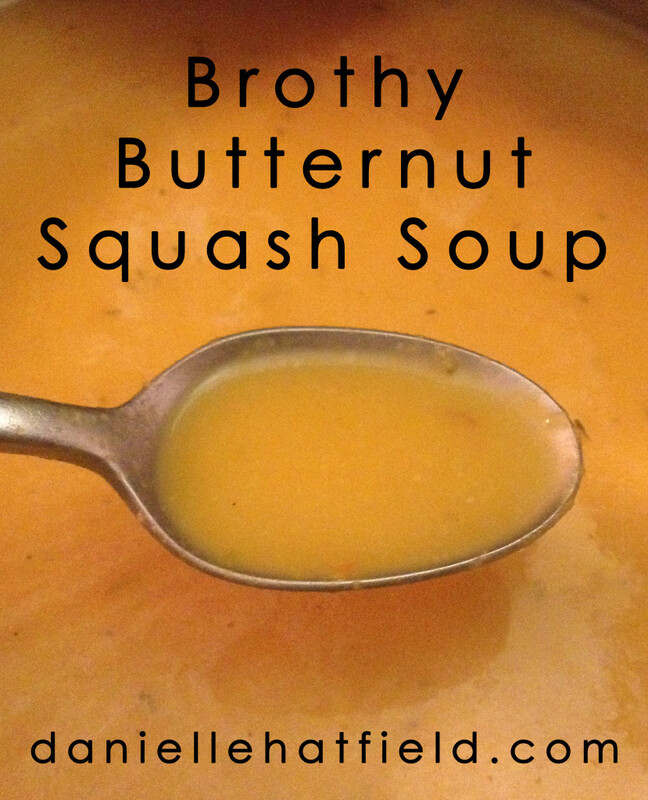 This soup is brothy, flavorful and easy to digest. If you want to make it a bit “meatier” bake two butternut squash instead of one. 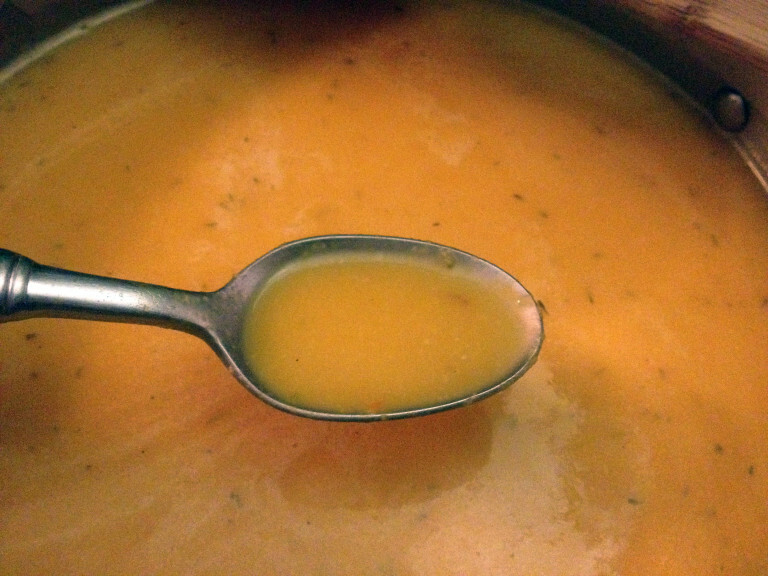 Before making the soup, you’ll want to cook your squash first. If you’re new to butternut squash be sure to be very careful when cutting these bad boys in half. Trust me. With a sharp knife carefully cut your butternut squash in half, clean out (and save) seeds, then place both halves face down in a baking dish with 1/2 water and 1 tbsp of olive oil or butter. Bake at 350 for 45min – hour. 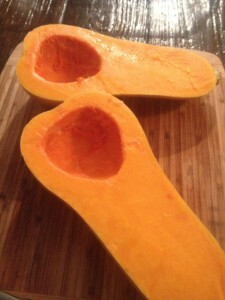 Remove butternut squash from dish to cool and reserve water from the baking dish. I hope you enjoy this recipe. Let me know what you think of it! While squash cools, sautee onion, garlic, thyme, salt and pepper over medium high heat until translucent. Once blended add back to soup pan and stir. Bring the entire mixture back to medium/high heat for a few minutes then reduce to simmer. Serve in your favorite mug!